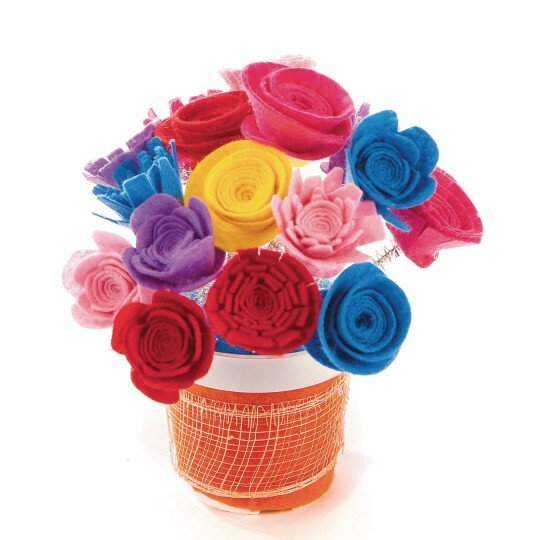 DIY fuzzy felt flower roll ups! 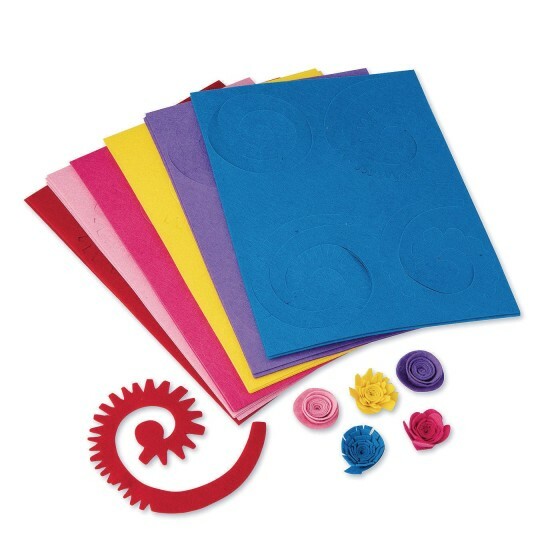 Simply punch out die-cut spiral flower shape, roll up and glue to its "base" or add chenille "stem"
Felt sheets measure 9" x 12"
DIY fuzzy felt flower roll ups! 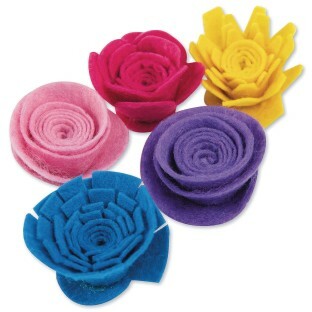 Simply punch out the die-cut spiral flower shape, roll it up and glue it to its "base" or add a chenille "stem." Pack includes 24 - 9" x 12" die-cut felt sheets, 4 each of 6 bright colors. 96 total felt flowers. 4 different designs. Each rolled up flower measures approx. 1-1/2" diameter.